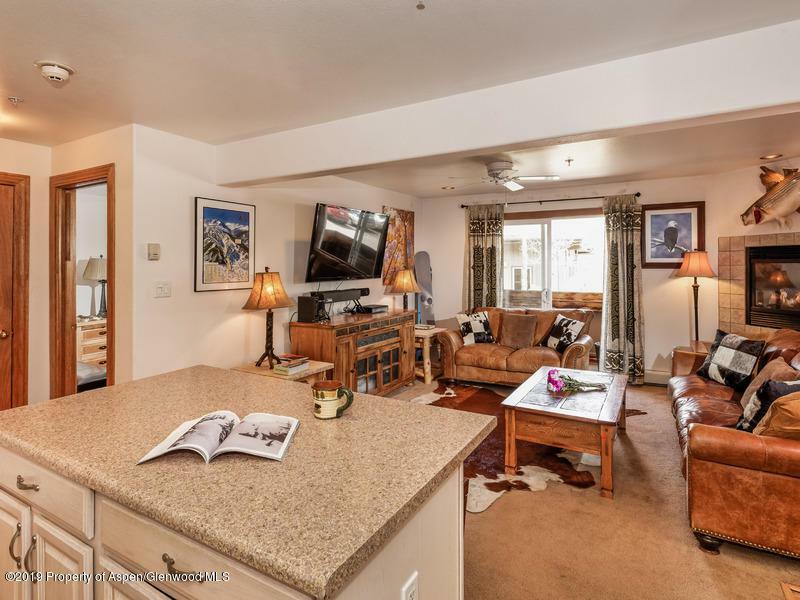 326 Midland Avenue #206, Aspen, CO 81611 (MLS #158541) :: McKinley Real Estate Sales, Inc. 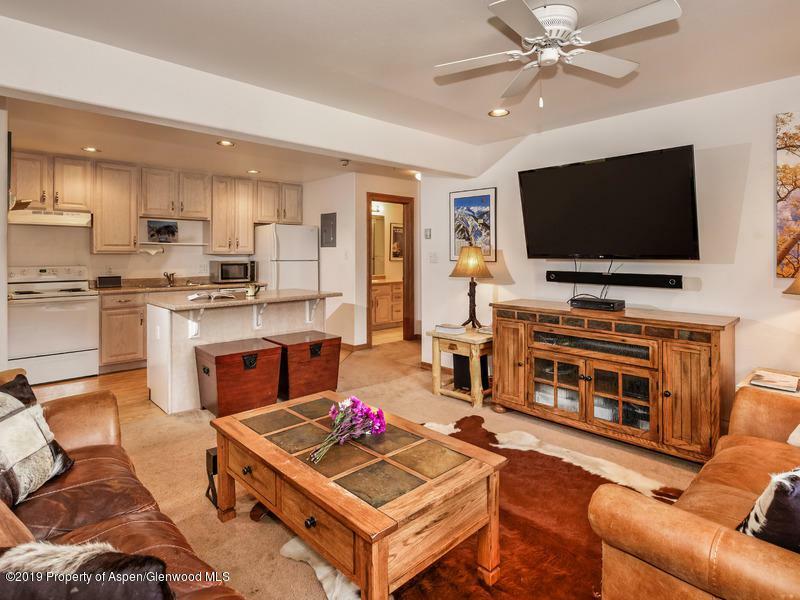 Affordable 1 bed/1 bath in-town Aspen condo with an open floor plan and mountain views. 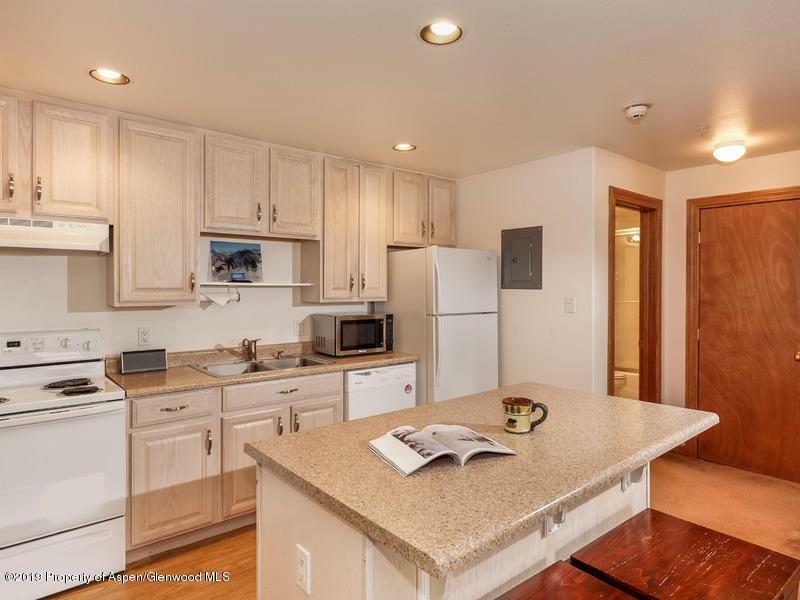 Interior features include an updated kitchen, wood laminate flooring, new carpet, gas fireplace, private balcony and upgraded bath. 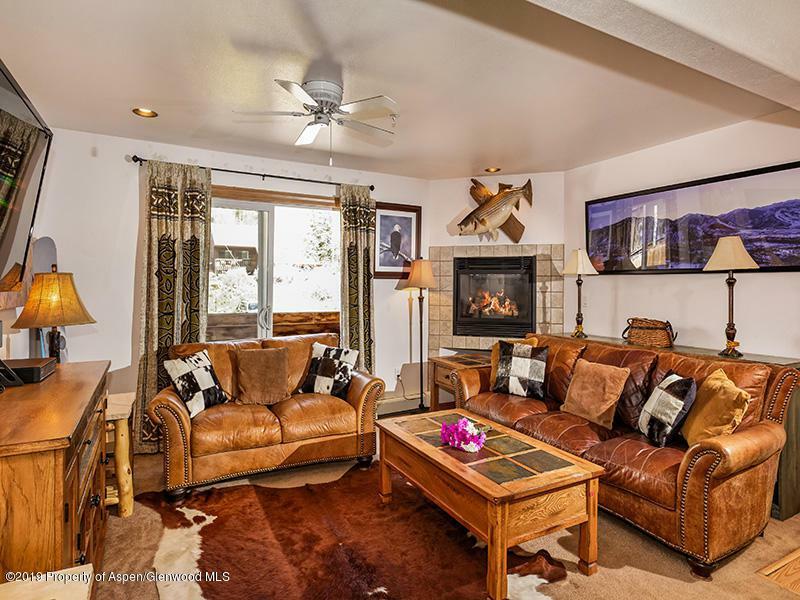 Low HOA fees include both unit heat sources: baseboard and fireplace, as well as most utilities. Building has common laundry room and private designated storage locker. One assigned parking space, and a grassy common area with views of Aspen Mountain. Owner may have a cat; no dogs. Easy walking choices to the downtown core or the free Hunter Creek's 20 minute interval shuttle bus stop is just one block away. See Documents for information regarding proposed exterior building renovation scheduled to be completed summer/fall 2019.